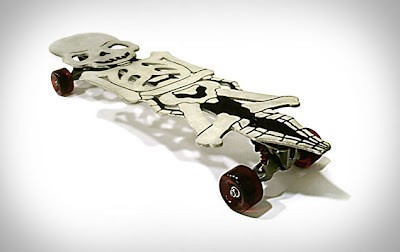 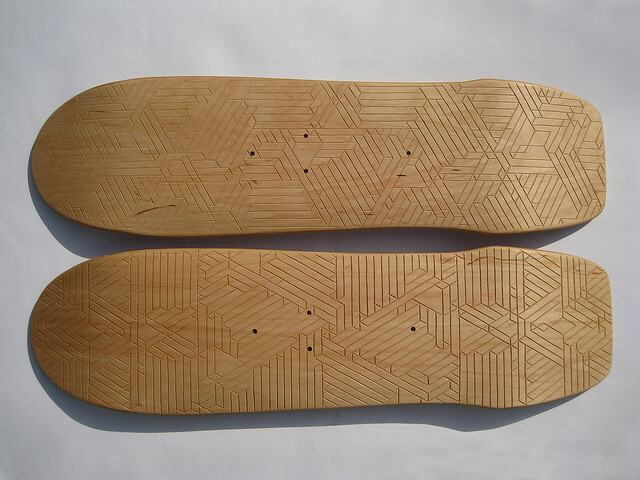 Collection of 'Creative Skateboards and Cool Skateboard Designs' from all over the world. 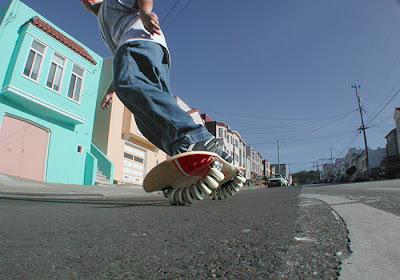 Flowboard Skateboard: This flowboard design takes skateboarding to the next level. 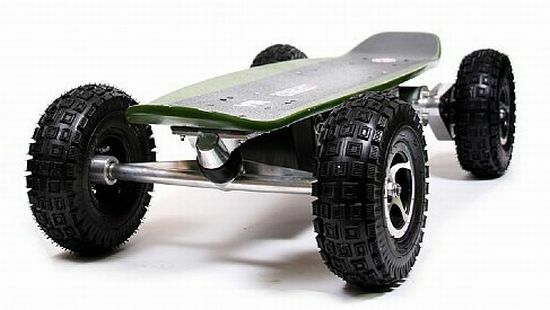 It comes with 7 wheels each on the front and rear. 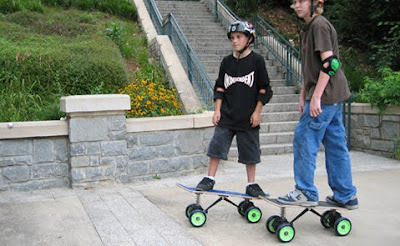 Wireless Electric Skateboards: These boards are powered by a 24V or 36V electric motor and are controlled with a handheld wireless controller. 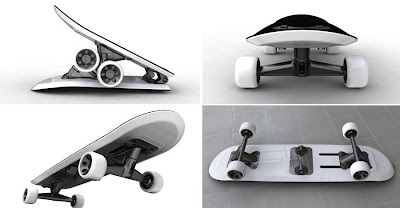 Foldable Skateboard: Jin-Seok Hwan designed this unusual foldable skateboard deck concept. 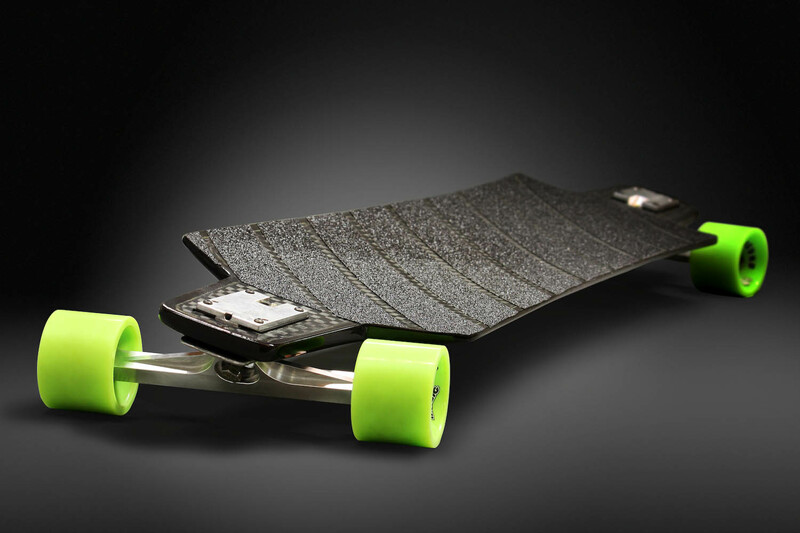 Carbon Fiber Longboard: This longboard designed by Louis Bradier is made of carbon fiber, and it tries to bring ski technology to the skateboard. Carved Skateboards: These hand carved boards are the creation of designers Owen Gildersleeve and Forsyth. 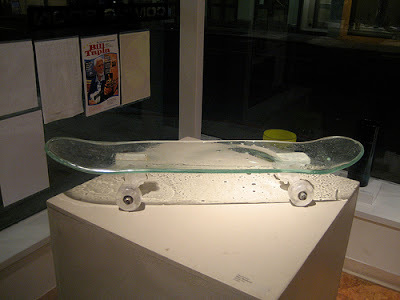 Light Skateboard: Cool illuminated skateboard comes with inbuilt lights. 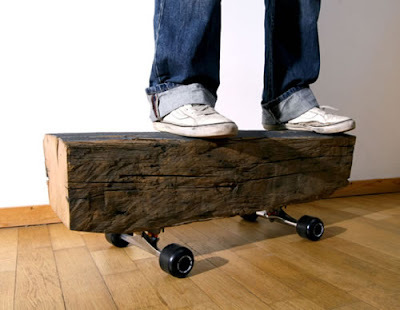 Pumgo Skateboard: Shifting of rider's weight back-and-forth generates the deck's seesaw movement to propel the board forward. 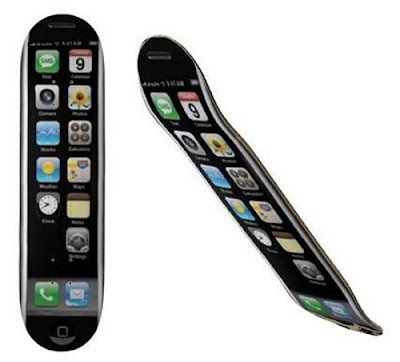 iPhone Skateboard: It comes with iPhone's home screen printed on both sides. Corbus Skateboards: These one-of-a-kind cool boards are made out of aluminum, weighs the same weight as a standard long board. 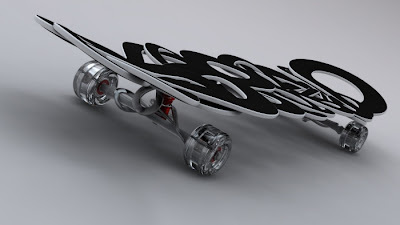 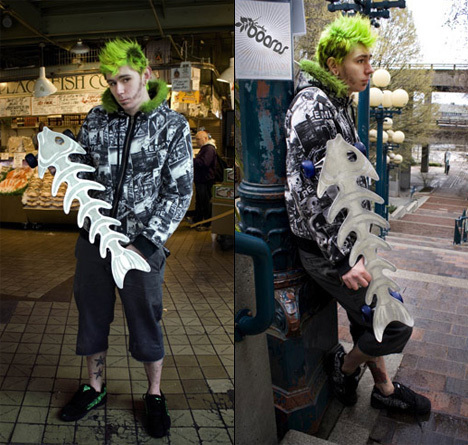 IPSVM Skateboard: Cool skateboard designed by Loren Kulesus. Cool Skateboard: This cool design takes its inspiration from the classic 'Italian plumber'.